Dr Simon Ashby is an Associate Professor of Financial Services at the Plymouth Business School (www.plymouth.ac.uk/business). Prior to this he worked as a financial regulator for the UK Financial Services Authority (writing policy on risk management) and a senior risk manager in a number of top UK financial institutions. 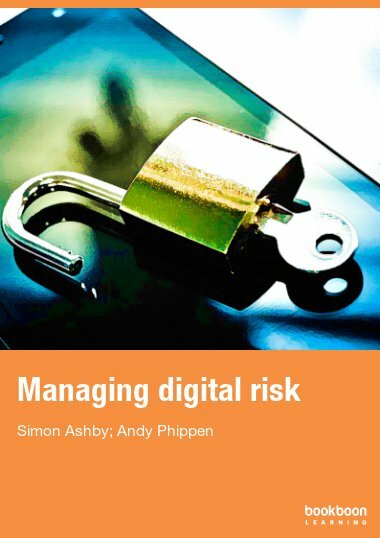 Simon has a PhD in corporate risk management and has published many academic papers and industry reports on risk management in organisations. Along with digital risk management his current research interests include risk appetite, risk culture and operational risk management. Simon remains actively involved in a number of industry sectors (including financial services and social housing) and is a regular speaker at industry conferences and seminars. He also provides occasional training and consultancy services. Simon is a Fellow of the Institute of Operational Risk (www.ior-institute.org) and is also a Director and Audit and Risk Committee Chair of Plymouth Community Homes (www.plymouthcommunityhomes.co.uk). Prof. Andy Phippen is a professor of social responsibility in information technology at the Plymouth Business School, Plymouth University. He has worked with the IT sector for over 15 years in a consultative capacity on issues of digital risk, with companies such as British Telecom, Google and Facebook. He has presented written and oral evidence to parliamentary enquiries related to the public use of ICT and is widely published in the area. In recent years he has specialised in the use of ICTs by young people, carrying out a large amount of grass roots research on issues such as their attitudes toward privacy and data protection, file sharing and internet safety.